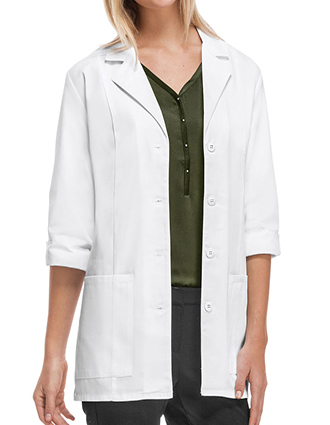 Be comfortable and stay on top of your game always with Just Lab Coats. We have a vast assortment of functional short sleeve lab coats that look great and feel even better. Available in a vast assortment of fabrics, styles and colors, our short sleeve lab coats check all boxes of functionality. Does your work require you to wear short sleeve lab coats? Or you just want the freedom of movement that a short-sleeved lab coat offers? No matter what your reason for looking for a short-sleeve lab coat, browse our vast assortment of functional lab coats and get exactly what you’ve been looking for. 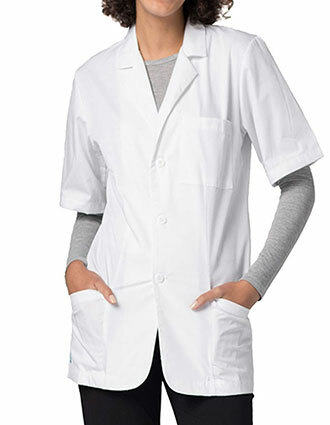 At JLC, we have lab coats selection from top brands like Barco, Adar, Cherokee, and more. With a vast collection in different colors like teal, navy, black, white and more – we vouch to make your personality shine at work. No more worrying about functionality. We give you super comfortable and functional lab coats without denting your budget. From consultation coats to full length lab coats, we have it all! Need to personalize your short sleeve lab coat? 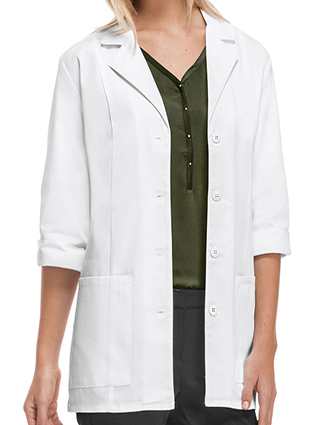 At Just Lab Coats we’ve got that covered. Our low cost embroidery service enable you to get your name and title embroidered on the lab coat before we deliver it right at your doorstep. You can send us an image of your company/school logo and our expert digitizers will give help you out with the rest for as low as $5.49. Want more? Get free shipping on all orders worth $50 and more. Order now and avail enticing discounts and promotions on group and bulk orders. Contact our friendly support staff today and let us assist you with the purchase. Rest assured at Just Lab Coats, you matter!